American songstress NOVI has just unveiled her brand new single Can't Love Me and it is a beauty!! 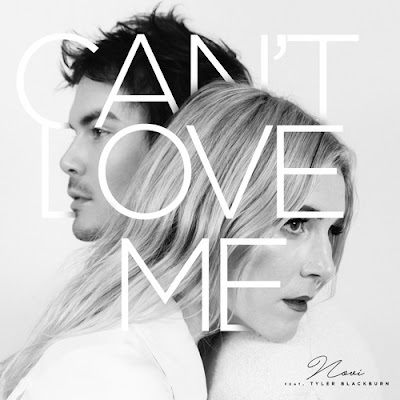 This piano-based ballad features actor and singer Tyler Blackburn and is set to pull on everybody's heartstrings. I am loving Tyler's smooth vocals which fit perfectly together with NOVI's emotive tone, both conveying the emotion of the heartfelt lyrics. This ballad is packed with lush piano keys and haunting harmonies that enhance the song's powerful message. This is a mesmerising pop ballad with a melancholic atmosphere and I think you guys will love it as much as I do. Check it out below! The song 'Can’t Love Me was actually written almost a decade ago during some of my first sessions with co-writer Lee Miles. It was always a very special song and saw several different iterations before finally resurfacing during my current recording sessions. We remembered how powerful the simple message was, and had the idea of including Tyler because we have such great chemistry on tracks, and it just had a new life to it, we are so happy that it will finally be heard by the world.